A revolutionary diet drug was unveiled today which could be set to hit the NHS by next year. According to reports, Liraglutide – which might be marketed under the name Saxenda – is a daily injectable that could help the user lose up to 19 lbs in 12 months. For some women, that could equate to losing two dress sizes. Alas, Liraglutide maybe a bit on the expensive side for the NHS. At £2.25 per day, it would be about twice the cost of the only other current prescription diet drug, Orlistat, although in trials it has also been twice as effective. Perhaps if it does come to the UK’s public health system, it will be given as priority to the more urgent cases of obesity. According to doctors the drug even induces a ‘feel good factor’ and may help reduce the risk of diabetes, lower blood pressure and increase good cholesterol. The not so pleasant side is that patients/users will have to inject the drug into their stomachs before breakfast every single day. Tough luck if you’re not a morning person!! 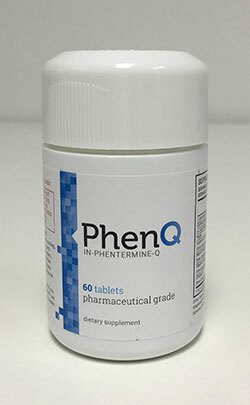 PhenQ is arguably the strongest weight loss pill on the world market today, and is currently available for purchase without prescription in all major countries and regions including the United Kingdom, Ireland, mainland Europe, United States, Canada and Australia. It is a potent fat-burner and appetite suppressor. The ‘feel good’ factor is also induced via the dual-action nootropic and fat-reducing ingredients. Liraglutide is an appetite suppressor and specifically targets the feeling of being full to do so. For obese individuals, it has been proven that reducing cravings, suppressing appetite and generally inducing effects of satiety can help them start losing weight and experience the results quicker than simply going on a diet. The impact of adding exercise to that compounds the effectiveness to a higher degree so that genuine and long-term weight reduction is a realistic possibility. When Might it Be Available? If everything goes well, Liraglutide might be available for use in the UK under the label Saxenda within a year. However, a lot has to go well for that to happen. For one thing, the British drug rationing body will have to approve it, and the initial feeling is that it might be too expensive for them to authorize for routine use. Aside from that, exactly how it would then be available to the general public is not currently known. It might be that many people will not be deemed at risk enough to be prescribed the drug…and prescription drugs are not available any other way unfortunately, so people who just want to lose some weight will most likely not be getting their hands on some Liraglutide / Saxenda. Does Britain Need A Prescription Weight Loss Drug? Sadly, the stats tell us we need something for sure. Obesity cases have doubled over the last twenty years and according to reports, Britain is second on the list of the ‘fattest European countries’. The risks associated with obesity are plentiful: diabetes, heart disease, heart attack, bone and joint problems, stroke, and of course death. If you’re in this obesity boat, or in the process of climbing aboard, do NOT despair yet. Continue reading. For appetite reduction and fat-burning, it doesn’t get much better than PhenQ in our opinion. Millions of people are using this prescription strength supplement as this very article gets typed out, and millions have had amazing success with it. Try it out and see for yourself – there’s no injection in sight either. PhenQ is available for shipment worldwide, and there is no doctor’s prescription required to purchase it. It’s not a free NHS drug, but it’s available to everybody that wants it right now. There are special offers running at the moment for people that see the long-term benefits of fat loss, excellent mood and appetite control and want more than one month’s worth. hello im looking for liraglutide tablets where can i purchase it in which country? Hi, Liraglutide is going to be a prescription-only drug and will more than likely be an injection rather than a tablet. Also, priority will be given to those most in need of the drug, i.e. the dangerously obese people in the population. What’s more, the drug is not yet available to be prescribed anyway. In short, you will need to try another option at the moment. If you read our article on Liraglutide again there is a link to another pill which is available and has similar effects. We recommend that for people like you who want something immediately. Thanks very much for asking your question.